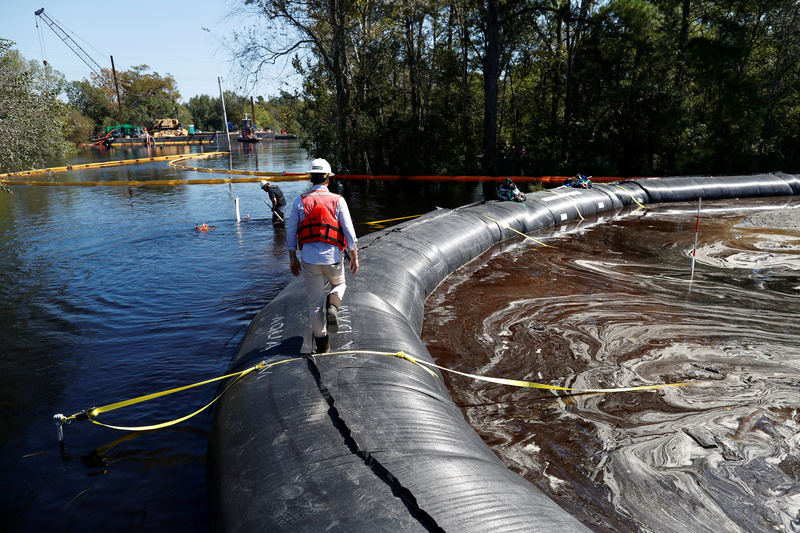 The case regards a deadline for when power producers can close some of their coal ash dumps. The Trump administration in 2018 gave utilities a deadline extension for when they must close or upgrade their unlined storage ponds, but environmentalist groups, led by the Waterkeeper Alliance, are suing to rescind the extension. Nixing the 2018 extensions “would cause regulatory uncertainty and significant disruption to the nation’s power supply and thus is wholly irresponsible and unnecessary,” lawyers for the Utility Solid Waste Activities Group, which represents a number of power companies, wrote in a filing Tuesday with the U.S. Court of Appeals for the District of Columbia Circuit. The lobby group is warning the country’s coal fleet could be forced to shut down if the deadline extension is removed. Coal ash — the residue that’s left over when power plants burn coal to produce electricity — can contain a number of toxic chemicals such as lead, mercury, arsenic and selenium. Because of their toxicity, coal plants typically contain them in specific dump sites, otherwise known as coal ash dumps. Because it is one of the country biggest waste streams, coal ash is heavily regulated by the government. However, the Trump administration is reforming the way the EPA manages coal ash, amending Obama-era regulations that were established back in 2015. Originally, power plants had only six months to close or retrofit their unlined storage ponds if they violated groundwater protection standards. The Trump administration extended this deadline to late 2020. Environmental groups — which accused the EPA of only caring about utility companies’ pocket books — called the extension “unlawful” and have petitioned the D.C. Circuit to either stay implementation or completely vacate it. While in decline, coal-fired generation still make up a major stake in the U.S. power market. Coal plants provided just under 30 percent of the country’s electricity in 2017. If the U.S. coal fleet halts operations at the scale of which the Utility Solid Waste Activities Group is warning, the country’s electric grid could be put at risk of blackouts.